Mullutu Murdja is the first lure we designed. This beauty was polished for several years before we felt that it was perfect and ready for sale. Good lure works even better if you know how to use it. Our luremaster Meelis explains how to fish with Mullutu Murdja. 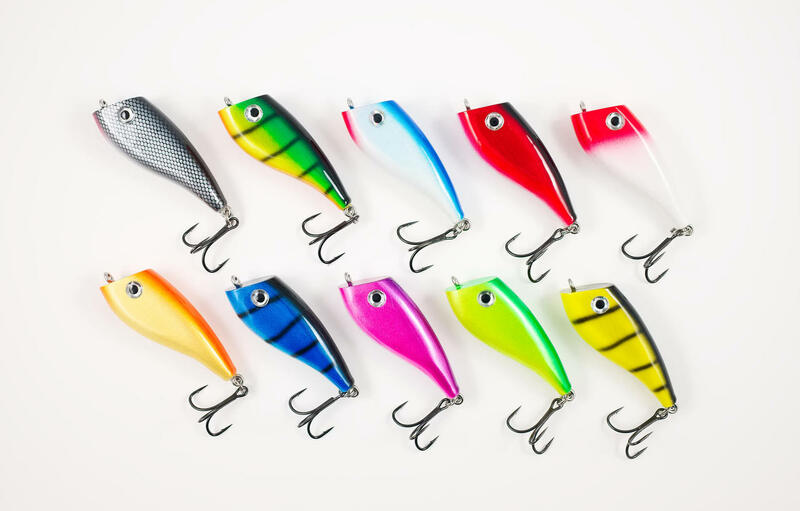 Mullutu Murdja is a floating lure that is designed for depths of 1.5 meters and above. The working depth of the lure is around 0.5 meters. This lure is specially designed for fishing pike but it has been equally successful in catching perch, ide, pike-perch and trout. Murdja is ideal for fishing close to shoreline reeds. The lure should be thrown as close to the reed as possible, then wait until it rises to the surface. After the lure has risen to surface make a rapid pull with the tip of the rod. You should hear a small plop and the lure dives. Repeat this action 2-3 times to wheedle fish out from the reed and start scrolling. Playing with the lure catches attention of the pray-fish and as soon as the “pray” starts escaping, they attack. In addition you can also make small stops in scrolling and play with the rod tip. Similar tricks can also be used in open water. Mullutu Murdja has 10 different color combinations: we have lighter, darker, colder and warmer shades. 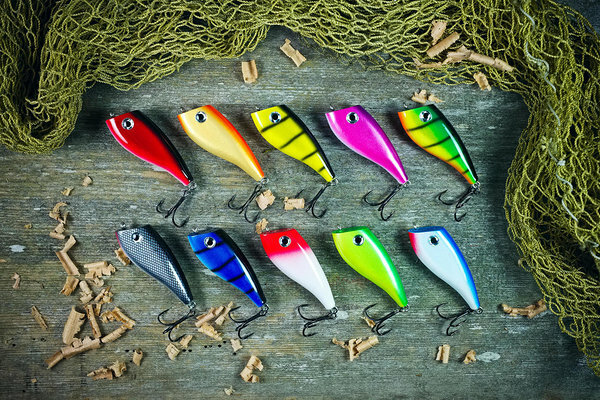 There are loads of theories and fishermen tips concerning the right color of the lure – some debate about water temperature and transparency, others about weather. Go figure... Truth probably lies in between. I remember one fishing trip when we were on the water with one of my fishing-buddies: both using different Mullutu Murdja. It was a good day and we caught around ten pikes and fifteen beautiful perches. Both lures were equally attacked by pikes but on that specific day most of the perches liked our red-black (punane-must) model. So you never know what works and it is better to test different solutions. All of our combinations work and the best way to choose perfect lure is to trust your instincts. Test our combinations in different conditions and find your perfect one. The main goal is to catch fish and this is something all of our lures can! Mullutu Murdja product description and color combinations can be found from here.